Henry Day is a child in two halves. On one side there is the real Henry—stolen away as a child and replaced by hobgoblins living in the forest. Renamed Anniday, he lives his life in a perpetual purgatory, never aging and gifted with incredible powers such as enhanced hearing and the ability to move at lightning speeds. He spends his life at one with his surroundings but is forever haunted by the life he feels should be his—the life that was stolen from him. On the other side is the new Henry Day, the hobgoblin that replaced Anniday. Introverted and awkward after a century spent in the forest, he finds it initially difficult to settle into his new identity without arousing the suspicions of his family (especially his father, who knows that something is not right with his son). When he himself was a child, before being abducted, the new Henry was a prodigy at the piano—a skill Anniday never possessed but that the new Henry takes to eagerly. He finds comfort in his music but is always aware that he is an impostor, living someone else's life. He is resentful of the years he spent in the forest and is forever fearful of having his true identity uncovered. Each Henry loathes the other. Each finds himself tormented by his past and by the gap between who they feel they should be and who they are now. Just who is the real Henry Day? The child who was born in his body, or the child who has lived his life? It is a question that forms the bedrock of this debut novel from Keith Donohue. A question that neither can put to rest until they break every changeling rule in the book and confront one another at last. The Stolen Child is a beautiful book. In the blurb on the back cover, there is a quote from Audrey Niffenegger (author of The Time Traveller's Wife ) praising it for its depth of language and style. It's an appropriate choice of reviewer, since The Stolen Child shows strong similarities to Niffenegger's work. They share the same dual-threaded narrative style, the same achingly sentimental tone, the same emphasis on characterisation and meticulous attention to detail. Donohue's portrayal of the passage of time and the emotional impact this brings upon the two Henrys is brilliantly worked. Most impressive of all is his ability to tell the same events from the perspective of the two characters and have them appear wildly different from one another. It's not a new narrative device, but Donohue handles it well, showing us simply and effectively how alienated the two Henrys have become from their old selves. We froze and listened hard. Creeping along through the brush, we carefully investigated the noise. A few hundred yards downstream, a most peculiar odor—neither human nor animal, but something in between. My stomach pained me as we moved along the banks of the water. Around the bend and through the fading light of the trees, we were nearly upon him before we saw the man. 'Who's there?' the figure said, then ducked down trying to hide. The new Henry isn't so fooled—he knows he's seeing one of his kind—but his aversion to his old way of life is so strong that he forces denial on himself. I heard a stirring amongst the trees behind me, footsteps racing through the brush. Thus, the two Henrys pass each other by in blissful ignorance. Only we, the readers, realise the truth of the matter, and it makes us feel almost privileged to see through their blinkered accounts to the reality of the situation. We feel we understand the characters more fully than they themselves do. In this way and many others, The Stolen Child is a very clever book. Full of light, elegant prose that gets down deep inside you from the off and resonates with that part in all of us that questions our own validity in our lives. Questions of who we are and the eternal Peter Pan-esque themes of eternal youth are threaded throughout the subtext of the book. But for all this, The Stolen Child is deeply flawed. And it's not in the characterization, dialogue, or scene-setting that this is the case—in all of these, Donohue is excellent. No, the problems I had with the novel were more fundamental. 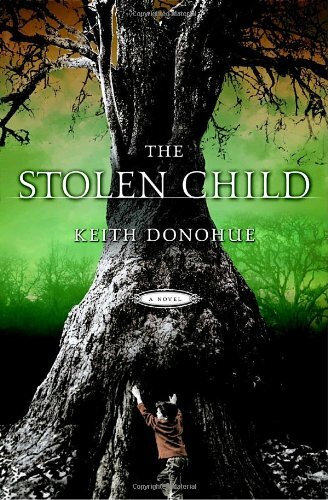 When I first read the synopsis of The Stolen Child , my initial question was one of "why?" Why would these changeling children be interested in going through the rigmarole of stealing a child and imitating it in the first place? Why would they bother spying on a child for months, finding out about its life and background just to usurp it? And it's a question the book never satisfactorily answers. Don't get me wrong—it provides explanations. We learn that each of the changelings was originally a child like Anniday who was stolen in their youth and replaced. We also learn that the changelings have a hierarchical queuing system of leadership: at each swap, it's the oldest changeling who becomes human. This means that most of them have to wait up to 100 years before getting the chance for a mortal life again. And every time one goes into the human world, the child they have usurped becomes a changeling in their stead so that there are always twelve of them. Fine. But this only raises further questions. For example—there must have, at some point in the past, been the first ever changelings. They couldn't have been children who were stolen away, so what were they? And why would they choose to give up a lifetime of un-aging immortality and the chance to be at one with nature, to become just another bog-standard flesh and blood human, not to mention a lie? And for that matter, why do the changelings bother going to such extremes to hide from the world around them? They still resemble ordinary children, they still speak English, so why do they live in the forest when, as long as they stayed on the move, they could exist perfectly well alongside other humans? And why is the replacement Henry Day, who existed as a changeling for over 100 years, so ready and willing to cut off all contact with his old friends to the point of even avoiding going into the woods for most of his life? These might seem like irrelevant questions to get worked up over in what is such a delicately poised novel, but all I know is that if I were stolen away as a young child and told I'd been replaced, the very first thing I'd do is go back home to my parents and say, "Oi, look. There's two of us!" And yes, it would probably bode badly for me, and yes, the other changelings would likely reject me, but I don't think children work that way. The fact that nothing like this ever happens—or even occurs to Anniday—leaves us feeling slightly cheated. He accepts his new life too easily and, no matter how beautiful and evocative his musings about the nature of existence become, I could never quite shake the feeling that none of this should be happening. It didn't ring true. Donohue does well portraying the legend of the hobgoblin as it is traditionally recorded. He even excels at working through the emotional implications of such a switch, humanising these magical creatures so that they come across as frightened, homeless children rather than the fey beings of legend. But I couldn't shake the feeling that I was being duped somehow—made to accept things based on very flaky reasoning. Despite this, however, I am reluctant to criticise The Stolen Child . In almost all other regards, it is nigh-on perfect. If flawed world-building doesn't bother you then there is a great deal to be gained. The dual-threaded narrative in particular really works to make the novel's themes come alive. The two halves enhance and expand upon each other's meaning, bringing into sharp relief the focus of the novel: the change between childhood and adulthood, and what happens to our identity in-between. We feel for these characters in their struggle to cope with their lot. We identify with them both as they each wage their silent wars against themselves. It is a very rare thing to see characters painted so vividly and at times it makes for painful, even disturbing, reading, but we read on all the same and Donohue should be praised for providing such feeling in a debut outing. It must be said that this is one of the most sentimentally nostalgic books I've ever read, so you might want to keep a wide berth if such things annoy you. So long as you can deal with that, and with the occasional crack in the novel's logic, though, you will find a great deal here to marvel at and be impressed by. 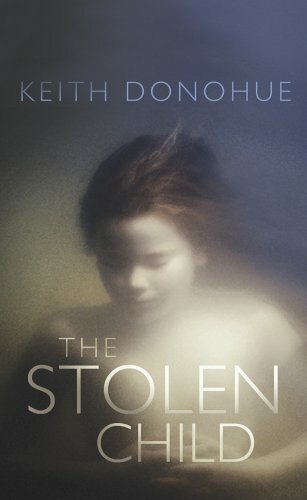 The Stolen Child is a deep, penetrating novel that asks us to look inside ourselves and keep asking questions of our lives until the very last page is turned. R.J. Burgess is from Crawley, West Sussex and has wanted to be a writer for most of his life. A recent recipient of a Creative Writing degree from Middlesex University, he is still relatively new to SF but is quickly finding his feet. I've never traveled extensively, but were I to do so, I'd encounter people with strange customs, rituals, conventions. I could puzzle over why they behave so strangely, but perhaps I'd come to realize my own culture appears just as irrational to outsiders. Like all of us, the hobs stick to their established way of life, guided by fear, socialization, pride, etc. Why don't we all run off and commune with nature? It is pretty well established in the novel that the hobgoblins live a very uncomfortable, painfully idle life. They don't have any real purpose in their immortal faery lives. Mortality and all that is offers, including children, grandchildren, aging and eventually dying offer interest, motivation, and meaning to life. This novel puts into context all those things that we take for granted and often rail against in our fear of aging and dying. It is mortality that defines us and makes life worth living. The changelings do not speak English. They never age. These are just a couple reasons why they can't live among humans. They would have been burned as witches hundreds of years ago or studied and experimented on in laboratories today. A lot of the criticisms you present seem to stem from you not having read the book very carefully. I recommend you reread it. And carefully this time. I think that you raised some great questions, despite what some of the people before you wrote. I "carefully" read this book as much as the next person, and I got all of its subtle implications and walked away feeling "yeah, I understand that he's saying that what defines us is mortality and the thing we deem important" and all the psychological musings of nature versus nature... or whatever. And I, like you, felt this was a very beautiful and well thought out novel. But in the end it felt too dreamlike for my taste, because of the little untruths like what you wrote. True, in the end both writers wrote more of what they wanted to write than what necessarily happened, but I felt a lot like you did. That despite it being about the feeling of lost childhood, it's lame to make a story intriguing and then just focus on one part while expecting your readers to disregard certain logic. 1) Why did the two reports diverge at the very end(the burning of the library?) I felt that we was trying to say that false-henry was still unable to come to terms with his wild nature and be honest with himself and his wife. His was a life of denial. 2) Who turned two girls in at the store. They said "he" said they'd be here. The most I could glean from this was that either McInnes tipped them off or that the false-Henry turned them in and never mentioned it in his narrative because he didn't want his wife finding out he led to these two little kids death. 3) Like you said, why? Why not just go back and say here I am. Or, if they can change shape so easily, why not just make themselves look like themselves and go to an orphanage and grow themselves up in a foster family without stealing their children.... it just seemed like it wasn't an airtight story. Overall, a good read, but not all to my liking because of these things.